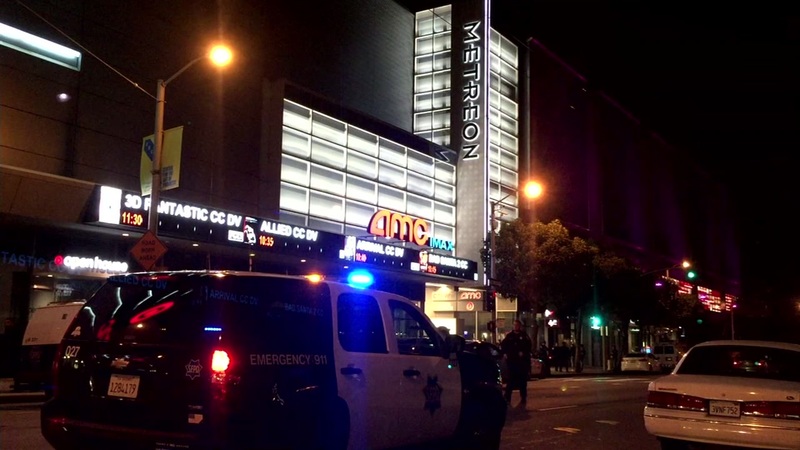 SAN FRANCISCO (KGO) -- San Francisco police are investigating a frightening incident at the Metreon Theater Tuesday night. Witnesses say a man started yelling and acting erratically as movie previews were wrapping up, just before 8 p.m. When the moviegoers confronted him, they said he pulled a gun on them. People in the theater ran out but the man reportedly calmly stayed in his seat. The SWAT team evacuated the entire Metreon as a precaution. Officers detained the man and found a handgun on him.